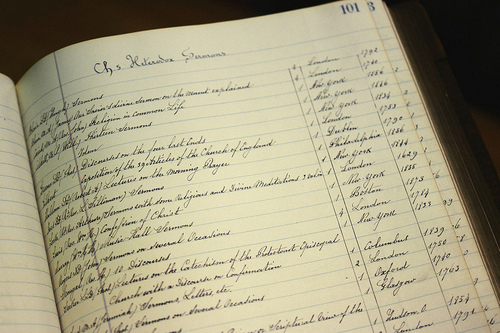 Within a few years of the founding of St. Ignatius College in 1870, an unidentified librarian made an extensive shelf-list catalogue of the library’s holdings. The c. 1878 catalogue lists approximately 5200 titles, encompassing over 8,000 volumes. It is broken down into six sections that reflect the primary focus of the teaching at the time: Pantology, Theology, Legislation, Philosophy, Literature, and History. These divisions raise important questions about late nineteenth-century urban Jesuit and Catholic education and identity. Assistant Loyola Professor of History Kyle Roberts and Loyola University Archivist Kathy Young first identified the value of an online reconstruction of this library catalogue in the Fall of 2011. Soon thereafter, the Jesuit Libraries Project was initiated with the goal of reconstructing the holdings in Loyola’s original (c. 1878) library catalogue in an innovative virtual library system. 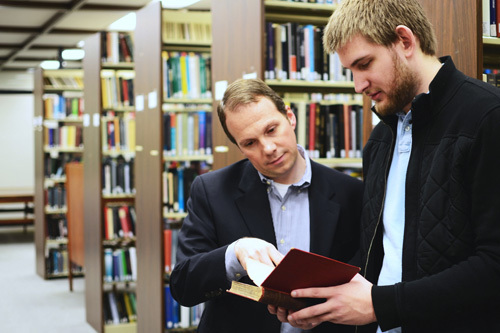 Over the Spring semester 2012, undergraduates digitized the entire volume, researched the history of the library, and began to track down surviving copies of the listed works in Special Collections, Library Storage, and on the shelves of Cudahy Library. 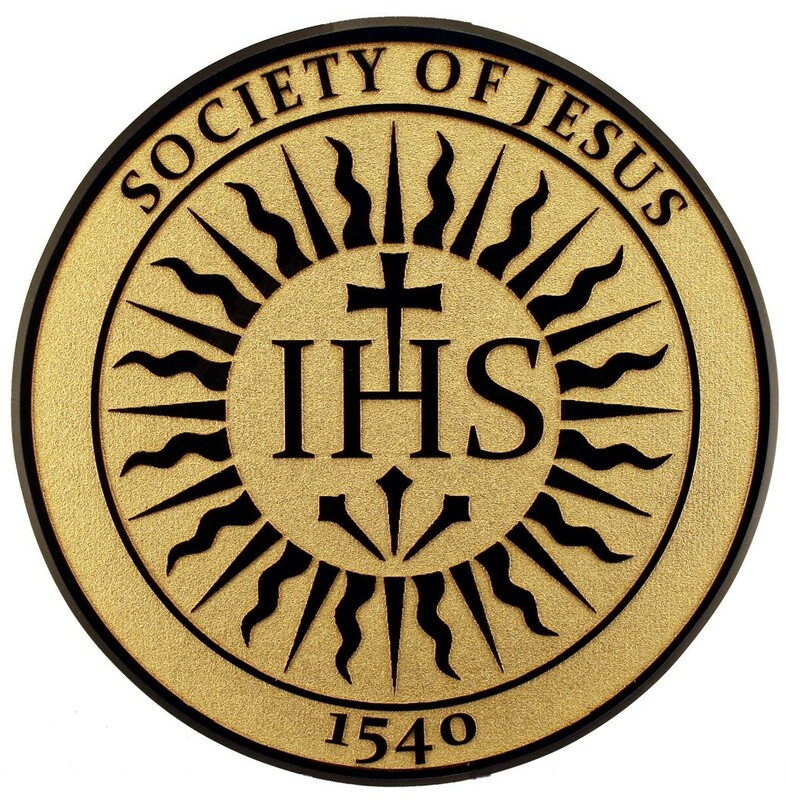 The virtual library system is set to launch in the Fall of 2014 in conjunction with the Restored Jesuits and the American Experience: A Bicentennial Conference, 1814-2014 to be held at Loyola. The Jesuit Libraries Provenance Project is a further step towards understanding the significance and importance of Loyola’s first Library Catalogue.